Mix the butter with the sugar and gradually add flour and cornstarch. Stir until all the ingredients are very well mixed. Then flatten the dough with a rolling pin until it is ready. Cut the biscuits in round shape and place on a greased baking tin. Carry to a preheated oven at 350 degrees for ten to fifteen minutes. To prepare the filling : spread the arequipe on each cookie and unite them, then put some powdered sugar and grated with the coconut on the sides. I believe tihs is better than fries. 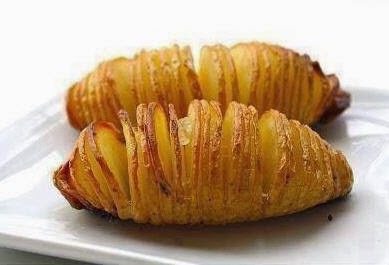 Cut potatoes almost all the way through. Drizzle olive oil, butter,some sea salt,and pepper over the top. Bake on 425 degress during 40 minutes, you don't even imagine how delicious this is. This recipe works with both kinds of potatoes, Irish or Russet white potatoes, or fresh sweet potatoes. Watch the time closely on the sweet potatoes, some of them may not take a whole 40 minutes to bake. Mix cinnamon and a couple shakes of nutmeg with the melted butter and then drizzle over the sweet taters. Heat the corn oil in a skillet over medium heat. Lie the steak in the oil and cook each side until brown. Remove the steak to a plate. Add the onions, garlic, tomatoes, salt, pepper, and cumin to the skillet; cook and stir until the onions are tender. Return the steak to the skillet. Pour the water into the skillet. Stir in the crumbled bouillon. Bring the water to a boil and drop the heat to low; cover. 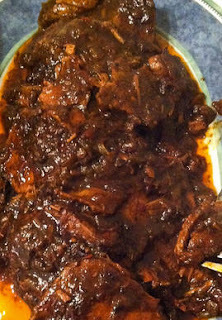 Allow to simmer until the meat easily pulls apart with a fork, about two hours. Remove the steak to a cutting board. Pour the onion and tomato mixture from the skillet over the shredded beef. Wash the garbanzos very good. Soak them overnight with 1 tablespoon salt in enough water to cover the beans. Drain the salted water from the beans. Place the beans in 4-quart soup kettle; add the 2 quarts of water and the ham and beef bones. Cook during 45 minutes over low heat, skimming foam from the top. Fry in salt the pork slowly in a skillet. Add the chopped onion and saute lightly. Add to beans along with potatoes, paprika, and saffron. Add salt to taste. When potatoes are tender, remove from heat and add chorizo. 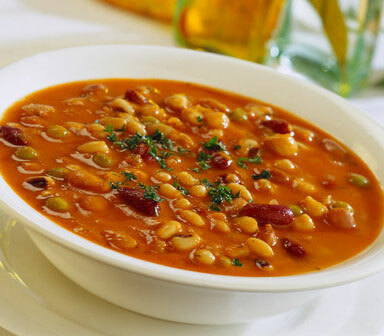 Serve hot in deep soup bowls. Serves 4 people. Heat oil in a large Dutch oven over medium heat until simmering. Add the onions, the bell pepper, the garlic, the chili powder, the cumin, and the coriander, oregano, pepper flakes, cayenne and 1 tea spoon salt and cook (stirring often) until the vegetables are softened (for about 10 minutes). Stir in half of the chicken, about 1/2 pound at a time, and cook while breaking up any chunks with a wooden spoon until no longer pink (about 6 minutes). Add beans, tomatoes and tomato puree and bring to a boil. Cover and simmer over low heat, stirring occasionally, for one hour. Press the remaining ground chicken into a ball, then pinch off teaspoon sized pieces and stir them into the chili. 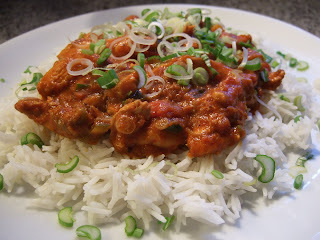 Uncover and continue to simmer; stirring occasionally, until the chicken is tender and the chili is dark and thickened slightly (for about 40 minutes). If the chili begins to stick to the bottom of the pot, stir in 1/2 cup water and continue to simmer. Sterilize jars two 8-ounce immersing in boiling water for 10 minutes or leave them in a hot oven at 200 ˚ F for 10 minutes. Sterilize the lids by immersing them in boiling water for 10 minutes. In a saucepan, combine all ingredients and cook over medium high heat. After about 10 minutes start uchuvas gently mash with a spoon. When carrying a total of 25 minutes cooking, make the first test to see if you get the right spot. This is getting a bit of jam on the frozen plate, after a few seconds you should be able to leave a mark in passing a finger. If not ready, continue cooking. The total cooking time should not exceed 35 minutes. With tweezers, stop the jars on a tea towel. Fill jars with hot jam, leaving a half inch from the top. Clean the outer edge of the jars and seal without applying much pressure. 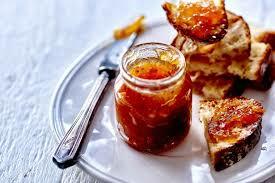 This jam of marmelade, is low in sugar, you need to keep it in the fridge. Open, takes 10 to 15 days, and closed two months or more. If opening a jar, sees signs of fungus, one must discard the contents. The consistency is not as strong as that of a conventional jam but it does the job of wonders. If you want a firmer consistency, should increase the proportion of panela.